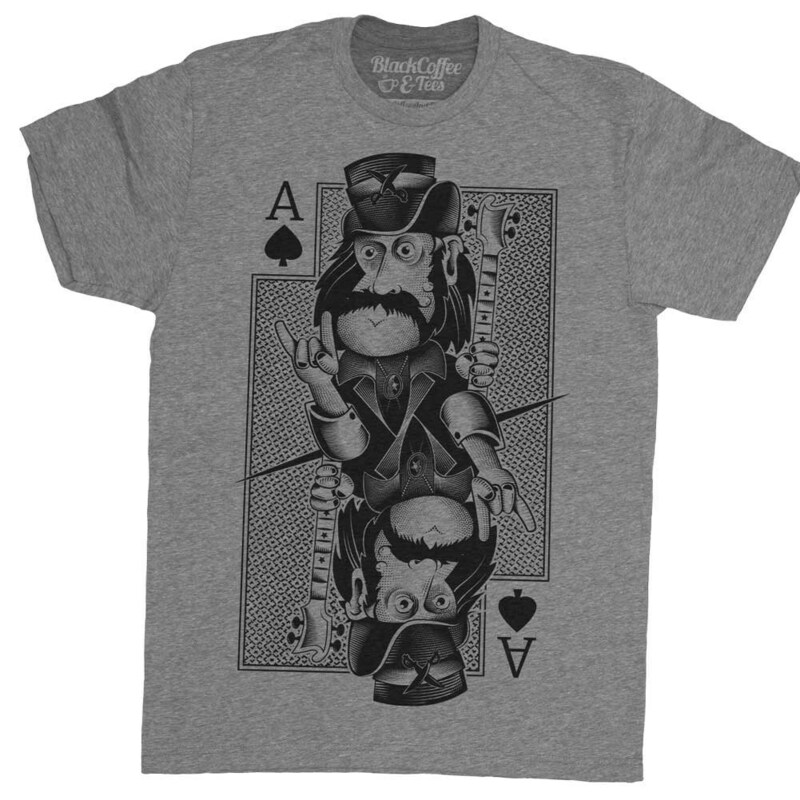 It's Lemmy from Motorhead on the Ace of Spades. Get it? 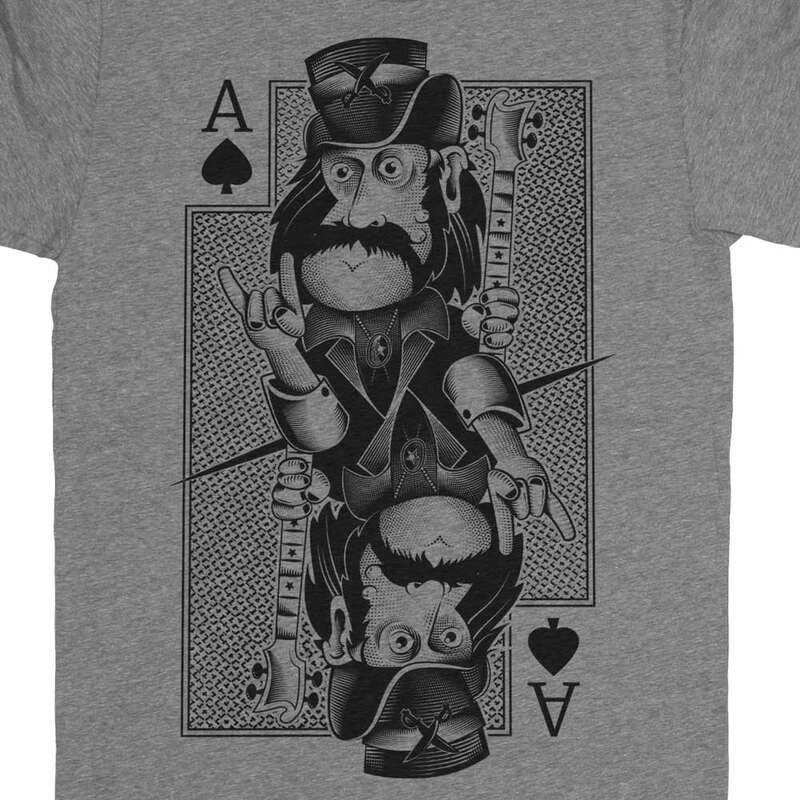 We really miss Lemmy so we have immortalized him on the Mens T-Shirt. Now we can hang with Lemmy everyday. 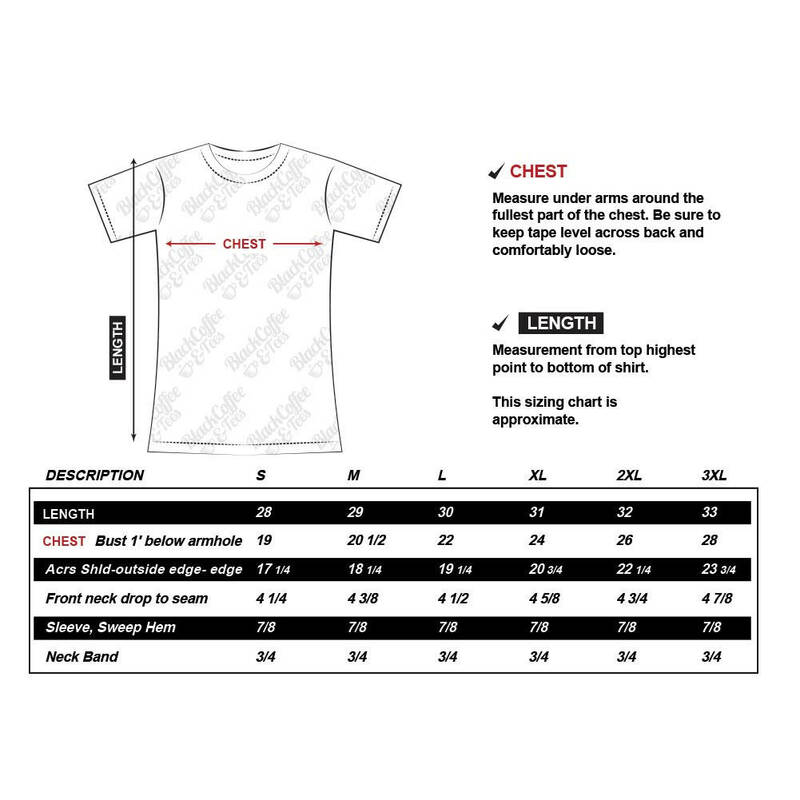 A great quality shirt! My hubby loves it!